It’s been almost a year since Rainbow Dash made her first appearance, but the ponies are ready at last! 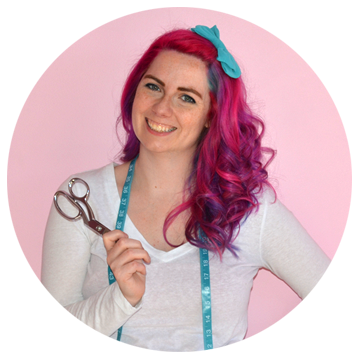 Next Monday will be the first day of the My Little Pony Costume sew-along, but I’m sharing the supply list today so that everyone will have time to prepare. 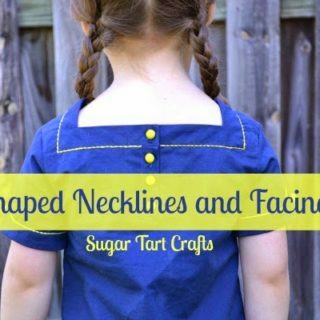 And the best part is that even though the tutorial shows the patterns made in children’s sizes, I’ve structured the sew-along in a way that you can easily make adjustments for teens and adults as well! Who wants to be a pony for Halloween? I have tried to keep the instructions as simple as possible, but please keep in mind that this is an advanced beginner/intermediate level project that involves quite a bit of hand sewing. You will need to be able to close an opening using a ladder stitch, sew a separating zipper, and also make buttonholes if you’d like the ears to be attached to removable hair clips. Please note amounts will vary by size and character. Fleece, thread, a separating zipper, 1″ elastic (waist measurement plus 1″), 1.5″ velcro (5″ max), a long embroidery needle, an even feed/walking presser foot, fold over elastic (for wings only), 2 – 50mm metal snap clips (optional for ears, and preferably with a hole), fiberfill stuffing (for wings and horn only), matching embroidery floss (for horn only), a basic hoodie or sweatpants pattern (optional). I will be showing you how to make your own pattern from an existing hoodie and pair of pants, but if you would prefer to start with a commercial pattern to help speed things along and make your part easier, that would be fine. Just be sure to follow the pattern’s instructions instead of mine for seam allowance, elastic size, zipper length, etc. This item may seem like an extravagance, but I promise that you will be able to make this costume much, MUCH more quickly and easily with this simple to use presser foot. Only you know the limits of your particular sewing machine, but I promise that sewing through 4 or more layers of fleece is NOT a simple task. Please limit your cursing and frustration ahead of time and buy one now. It works wonderfully with fleece, knits, velvet, and many other bulky or slippery fabrics. And in case you’d like to see one in action, here’s a video tutorial I made showing how a walking foot operates. (sorry it’s a little blurry) I own this one by Distinctive*, but your machine may require a different brand. Be sure to check the description for your machine’s model number. I prefer Hancock Fabrics Glacier Fleece Solids. For teen and adult sized costumes I suggest a minimum of 2 3/4 yards for the body color. The 1/2 yard will make a roughly 17″ long tail, but you’ll need 3/4 yd or more if you’d prefer a longer one. I’ve had a few questions about whether or not these yardage amounts include enough fabric for wings, and the answer is…maybe. 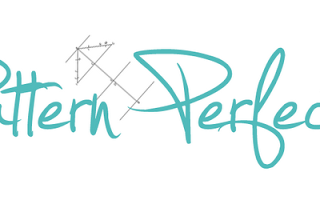 Sorry, but it usually depends on each person’s individual layout of their pattern pieces. If you are planning to make one of the winged characters like Rainbow Dash or Fluttershy, I suggest adding an extra quarter yard of fabric just in case. This addition will also allow for a second hood if you choose to line the hoodie during later steps. 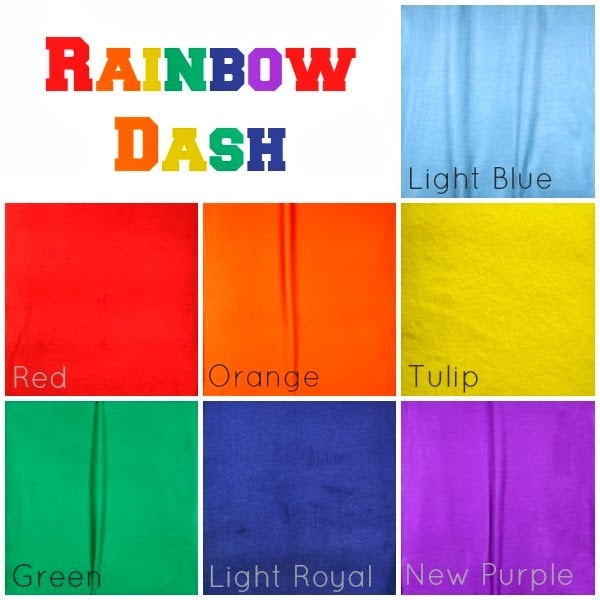 If you are making a multi-colored mane or tail like those of Rainbow Dash or Twilight Sparkle, you will need 1/8 yard for each of the “accent” colors. 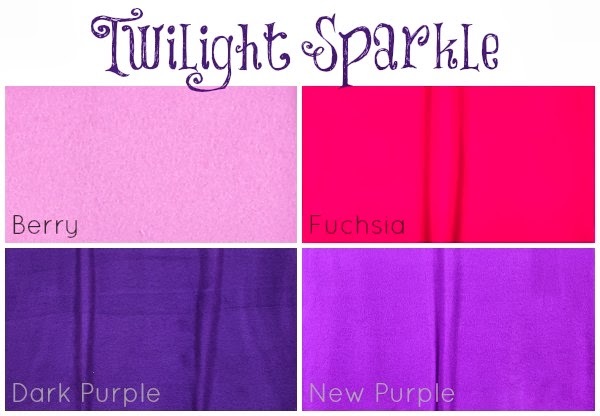 (All 6 for Rainbow or Fuchsia and New Purple for Twilight.) The strands will be cut on the crosswise grain instead of the lengthwise grain though, so they are more prone to stretching out if tugged on. Important note: There have been problems with the recent dye lots for the Gold Medal shade of fleece that I would normally suggest for Applejack. I have spoken to the buyers at Hancock Fabrics, and they are working with the manufacturers to rectify the situation. I will update my color-charts and supply list when the proper color finally becomes available. In the mean time please do NOT order the Gold Medal shade online or you will be highly disappointed! from ZipperShipper.com which are probably the closest colors available. Be sure to ask about their new customer discount code! That should cover everything, but if you have any questions feel free to let me know. 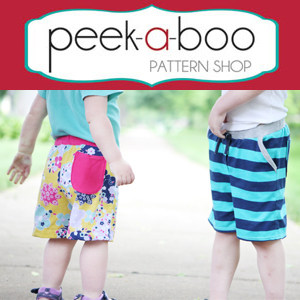 Please stop back tomorrow for a special Etsy shop announcement! Ok, so who’s going to sew-along with me? I can’t wait to see a whole herd of little ponies! The SugarTartCrafts Etsy Shop is now open! Ha ha, buying too much fabric is a common problem around here! Maybe you could make one for Christmas instead. It might be just as much fun for the Moms who remember the original cartoon from when we were little! Yay I am so excited to get started!!! 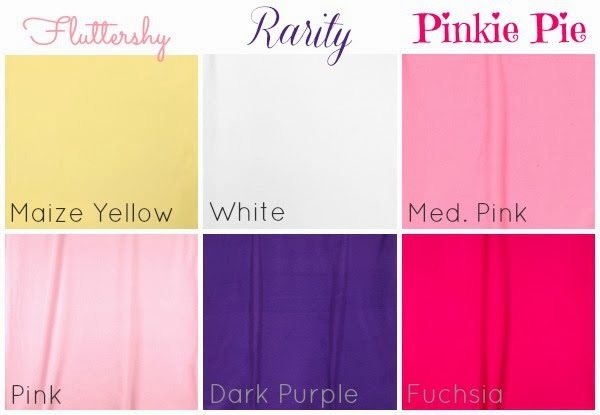 I can't seems to find the color Berry (for Twilight Sparkle) on Hancock's website, is there another color that is similar that would work? I hope you were able to find the one you were looking for. If anyone else is having the same issue – Look for the "Light Purple". There are two shades of fleece with the same label, and either would work, but the more pink one is what they call Berry in the stores. Sorry if this caused any mix-ups! How fun! 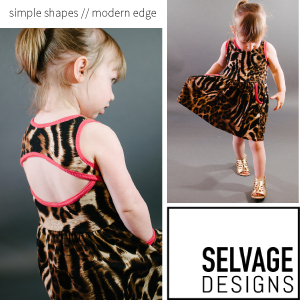 This is going to be an awesome sew along! To bad Henry wants to be a dragon instead of a pony! Maybe the wings will work out for me. . .
Oh man, I wish I would have planned ahead a little more. Then I could have done a tutorial for Spike the dragon too! Yay, So happy to have you along! Oh my gosh, this is so cute. My daughter would've loved this a couple years ago. Ooh, fun! We LOVE MLP! Timing wise I am not sure I can sew-along, but I will def have to sew after!!! That's great Rebecca! I've even designed most of the pieces in a way that make them adjustable for a whole range of sizes. You could make it for Christmas, and it would probably still fit next Halloween! So cute! I'll have to remember to stop by and see how things are going. Thanks for sharing. Love! My daughter is really into My Little Pony! As it is, I cannot sew. Great news! I just opened an Etsy shop (link in sidebar) specifically for all the non-sewers out there. You can order a full costume, or just the different pieces (ears, tail, wings), and add them to your own sweatsuit. I love your costume. I've got my work cut out for me though, sourcing Canadian everything, if I'm going to make this. None of these places ship to Canada. Oh well. I have a old fleece blanket in blue that's a start. I'll have to check the local quilting shop for fleece. Hopefully everything isn't $30 per yard. Up here, so many of the fabric stores have shut down. I'll check the local dollar store too. 1/8 yard of fleece is about a fleece scarf. Maybe I'll luck out. I'm so sorry Julie. I had no idea that Hancock didn't ship to Canada! If you have trouble finding the supplies, please let me know. I could probably put together a kit and ship it too you for far less than the fabric would cost you up there. :/ It wouldn't be any trouble since I already have extras on hand. Just let me know. So fun! Eddie needs one! I am SO glad I found this tutorial!! My girls just started begging for MLP halloween costumes, so I brought up my case to the hubs for a sewing machine of our own (I used to be fairly proficient, but haven't had the space or money for a sewing obsession until now!) and we bought it and the first bit of material I guessed I would need YESTERDAY. Woo hoo! Thank you so much for posting this! That's awesome Mimi! So glad you're able to get back into sewing again. I took a few years off after college, but when you come back it's like a whole new world of creativity. Good Luck! I'm totally making this for my daughter for Halloween! Is there a link to the wings pattern? I couldn't find one and do you use fleece strips for the mane and tail or do you use felt or what? You are a creative genius to design this! Hi Lacey, The entire outfit is made of fleece, and the complete supply list is located above. So far we have only reached day 9 in the sew-along, so the pattern and tutorial for the wings will not be up until next week. Thanks for visiting! I guess I should have read through the whole thing first! 😛 Thanks and I will be visiting next week! My baby is going as rainbow dash and I'm going as spitfire and daddy is going as big macintosh. I bought sweats for us but couldn't find anything small enough for her so I'll be using this pattern. Thanks so much!! I am a little late. On the website I only see "Plum Berry" is this the same as berry or too pink? Thanks so much! You're right, Plum Berry is what I called Berry. If you buy it in the stores you might see 2 different shapes because the dye-lots have gone a bit wonky lately. One is a more pinkish-purple (like what I used for my son's Spike costume), and the other is a mauve-y heather kinda purple (like my daughter's Twilight Sparkle). Both are called Plum Berry, so I'm not quite sure which shade they'll send if you order online. Either way, they are the closest option I've found for Twilight so far. The weather is warmer where we live. Would substituting the fleece with cotton work ok? I've been wracking my brain trying to come up with a warm weather solution for our southern hemisphere/tropical friends, but unfortunately I haven't cone up with the perfect option yet. If you used woven cotton the mane and tail would just fray into a tangled mess. Felt may be an option for the mane/tail, but I haven't tested it yet. I'm having difficulties finding all the required colors in knit fabrics, but Megan found them and made this great version…http://buff.ly/15hWbfn. I'd also like to make a test version in flannel, but haven't had the time to really experiment just yet. If you end up making one with something other than fleece, please let me know how it turns out! Good Luck! These Are Adorable! When Are YouCVPosting The Wing Tutorial? Also, What Fabric Stores Do You Go To? I buy most of my fleece from Hancock Fabrics, and all of the other supplies are listed above with the appropriate links. What is the fold over elastic for? I've gone through the steps so far and, unless I missed it, I can't seem to figure it out! The FoE is used for the shoulder straps on the wings. You can use regular 1/4" or 1/2" elastic instead, or leave it out completely if you aren't planning to make a character with wings. Does the fleece fabric yardage needed include the amount needed for wings? Good catch! No, the wings fabric was not included, but I'm pretty sure for most of the smaller sizes you would have enough extra. I'll have to go back and lay out all the patterns to make sure. Just as reference, the wings are less than 9 inches tall if you are looking for fabric right now. I'll adjust the numbers above soon if necessary. Thanks so much for mentioning that! You're very welcome Allanah! I hope you'll share pictures of your costumes when they're finished! Haha, I've definitely be there and done that – wrong sizes AND extended breaks. Luckily our kids don't even notice our errors, and still think their costumes are awesome! I want to thank for this tutorial. My 9 year old (on this upcoming Monday) SON wants to be Rainbow Dash so bad for Halloween. All pre-made RD costumes are extremely girly, with tutus and the like, and that's too much girly for him. I had about given up on letting him go as RD and breaking his heart by making him be something else when I came across your tutorial. I'm getting the materials this weekend, except for the RD patch which I already ordered from that site you recommended, and sewing next week. It's a great birthday present for him as well as a Halloween costume. I'm positive he'll be wearing it for months to come. So, again, I thank you!!! That's so sweet! He definitely isn't the first little boy that I've heard wants to be Rainbow Dash this Halloween. Maybe it has something to do with her being 20% cooler. 😉 (sorry, I couldn't resist!) You're very welcome though. I'm just happy to be helping to make all these little pony kids (boys and girls) happy. I sure hope you'll share a picture of him in his outfit! Thank you SO MUCH for sharing this!! I'm making my daughter a Twilight costume. This is such a big help! Thank you! Thank you! Thank you!! You're very welcome Amanda! I'm just glad that I've been able to help so many Moms (and Dads!) turn their kids into little ponies, until Hasbro gets there stuff together and starts offering better costumes. Thanks for sewing along! (Second time trying to post this, sorry if it double posts) We are getting a late start on our girls costumes this year (needed to wait for a paycheck that wasn't devoted to bills) and now are having a difficult time finding fabrics in the right colors. I looked at Hancock's website but couldn't find a standard shipping time. Do you by chance know about how quickly they get their products shipped out? Would like to order from them since you have nicely laid out what colors to get from them and their prices are decent too, but if it takes too long then we'll go the hour and a half to the nearest city. The girls are so looking forward to being Rainbow Dash and Pinkie Pie. This looks so well laid out and looking forward to getting them sewn up! I normally get most of my fabric in-store, but the last time I ordered online – I placed my order on a Monday and it was shipped on Thursday out of Mississippi. All told it was probably a week before I received my fabric. I'd definitely call ahead to the store to make sure they have what you need though. I've already come back empty-handed myself a few times. Thank you so much for the kind offer! Actually today I was in our local Wal-Mart and decided to at least check what they have (it's been really sad since they got ride of employees for that department) and to my delightful surprise I was able to get all the colors needed for Rainbow Dash and Pinkie Pie! Such a load off knowing I have it now and can start right away. The girls are so eexcited. Thanks again! That's awesome! I'm so glad you were able to find what you needed. Good Luck with your ponies! I can't wait to see them! Hi Sondra, I normally have plenty when I work with the amounts above, but if you find that you've accidently run out before you get to the wings; They are 9" tall at their widest point, so a straight cut 1/4 yard would be plenty. I say "straight cut" because I know that fleece is rarely lined up properly when it gets folded in half. If you're sending someone else to the the fabric for you. I'd suggest telling them to get 10 or 11 inches of each color just to be safe. Hope that helps! Thanks for this amazing tutorial, I'm a novice at sewing and I've had no problems following along! 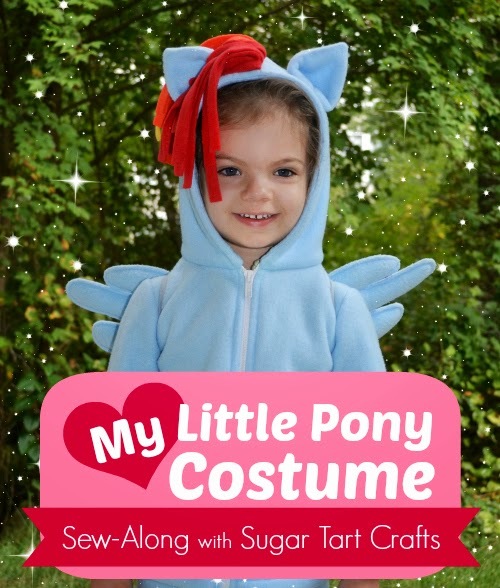 My 4-yo daughter is so excited to be Rainbow Dash for Halloween, and is absolutely amazed that Mommy can sew a costume… "Just like Rarity does!" she says 🙂 Baby brother will be going a dragon, but not exactly Spike because I would like for him to be able to wear the hoodie throughout the winter and don't want to sentence him to wearing a purple hoodie the entire season… so he's blue with green spikes. I'll have a Twilight Sparkle hoodie for myself, and even Daddy is participating with a Wonderbolts hoodie. Anyway, thanks so much, this has been a great project for me and my daughter, who is really getting her first exposure to the sewing process. Just finished Rainbow Dash for my 5 year old daughter. She loves it and I am very pleased with it. I am new to sewing and I found your instructions wonderfully easy to follow. Thank you. That's great Christina! I'm so happy that so many "newbie" sewers were able to follow along! This tutorial was A-MAZING!!! I'm relatively new to sewing and made a ridiculously awesome Rainbow Dash costume for my 6yo's Halloween costume. I'd LOVE LOVE LOVE to see the results of the other sew-along'ers efforts! 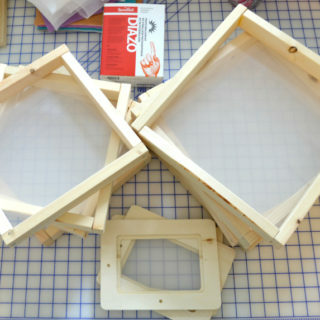 Do you have somewhere that people are uploading photos of their completed projects? Thank you so much Mamma! That's so sweet! Most of the pictures I've seen have been posted on the STC facebook page (link at the top), but I've also had a few people e-mail me. I'm going to try to gather as many as I can for a round-up post, so feel free to send yours over pics if you'd like to be included. For Pajama Pants: I was actually planning to post about them soon. 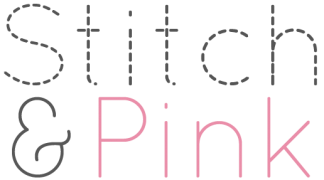 You can use the exact same tutorial from the pony pants to make pattens for all the sizes you need and stitch them up the same as well. It'll even work for flannel or woven cotton if you don't want to make them from fleece. I just paint/stencil/embroider a plain long sleeve tee to match the fabric. If you search pj's in the sidebar you'll find some of my older versions. I just wanted to thank you for this awesome sew-along. I don't sew much at all, just mending for the most part. I was able to make a pinkie pie costume, a Princess Twilight Sparkle and a Princess Luna costume, within just 5 days! My children were so excited to wear their Halloween Costumes. Thanks so much! That's awesome Lilyana! I know how much work it is just to make a single costume, so you are definitely down playing your sewing skills if you managed to whip up three in such a short time frame! I haven't seen a version of Pinkie or Luna yet, and would love to see a picture if you have one to share! I just wanted to thank you for this amazing sew-along! I was able to make a Pinkie Pie costume, a Princess Twilight costume and a Princess Luna costume in just 5 days! My children were so excited to wear their Halloween costumes. Thanks so much! I can't thank you enough for the awesome tutorial! My daughter wanted to be Rainbow Dash this year and I had no idea how I was going to pull it off until I found your blog. I have been sewing for years, usually just winging it. This is the first time I ever created a pattern and it was so easy I'm sure I will do it again now that I know how. You did an amazing job Jamie! She looks so happy to be Rainbow Dash, and I'm loving the treat bucket! Did you make that too? It's adorable! Thanks Toni, I did make the bucket. Actually Target sells these little felt buckets for $3.00, I just covered it with leftover fleece using the same method as the mane and tail. Thank you thank you for taking the time to post this – and having the talent and patience to do it in the first place! My 6 year old just LOVES her Rainbow Dash I made for Halloween. She wears it all over the place and every time someone comments (especially in the fabric stores) I always tell them to visit your site. 🙂 Just a comment: from your main, sewing or tutorial pages, I can't find a link to the ponys so you might want to check on that. It could be all me but I wouldn't want any new visitors to miss out! 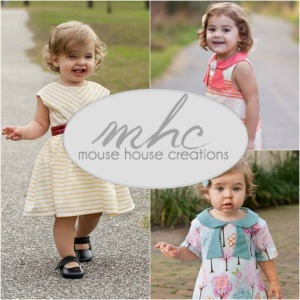 I'm so glad your daughter has been enjoying her outfit, and thanks so much for passing my site along! You're definitely right that the pony posts have been missing from the tutorials page. I admit I was being lazy about making and adding so many buttons, but thanks to your "kick in the tush" they're up now and we're ready for more pony fun! Thank you so much for this amazing sew-along! My daugther wants to by rainbow dash for shrove, and I have been fearing how I shold ever succeed in making a costume. But now I know – thanks to you :-). This is absolutely amazing. Thank you! A friend sent me your link on etsy, so I went about creating my own version of yours, but this answers so many questions that I was going back a forth with. Getting a lot done now that I have this tutorial and with all the snow we have here in Northern VA. Thank you, thank you! You're very welcome, and you're the closest pony seamstress I've heard of yet! We just moved from Manassas to Bristow this past week, and the snow has made everything around here just a little bit more crazy. Luckily the roads cleared quickly, but I sure wish I was snuggled inside sewing like you were. Who did you decide to make? I'd love to see a pic of your outfit when you're finished! A friend and I are trying to make some sewing things, but it's a little hard to find molds that fits what we need. Your blog just helped a lot! I'm happy to help! Your plushie unicorn is adorable! Thanks so much for sharing this, my daughter loves her Rainbow Dash costume. 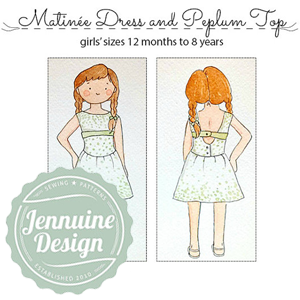 You have made so many little girls happy with this excellent tutorial. You're very Welcome Jenn! I hope you'll share pictures! Hi! Thanks for these tutorials! I made celestia costumes for my girls. I am having issues with the hoods staying up. I think the hair is really heavy. Just wondering if you had this issue at all too? I made headbands to try to hold the hoods up, but it doesn't seem to be helping. Any advice? Thanks! Hi Abi! It's definitely not just you. This is one of the reasons that I make the ears on hairclips and attach them to the hood through buttonholes. Then you can clip right into the hair to help hold it forward. Hope that helps! I am so incredibly thankful for your tutorial, which I will be making more MLP inspired stuff for the other characters soon. I used your patterns to make the ears, horn and wings for my daughter's Twilight Sparkle costume. I realize this is an older pattern/project but my daughter found this and made it for my 4-year old grand daughter for Halloween 2017. I made a couple of changes (bigger wings, thinner fuller bangs, gold thread on horn). She is going to win any costume contest she enters because she will be the cutest little Princess Twilight Sparkle ever!! AAAAAAAAAAAAAAA!!!!!! SO CUTE! Thank you!! !